We didn't know we were making memories. We just knew we were having fun! I am so grateful for my childhood friends. Growing up a child of the 70s and a teen of the 80s in rural Illinois, friends were everything. We were all products of working class baby boomers. Factory workers, business owners and farmers. Our town, Lacon, was pretty quiet and safe. We rode bikes and walked to school. We spent our summers at the pool from open to close. We had sleepovers, house parties and secret hiding spots in the woods. We spent hours making mixed tapes from the songs on the radio and lipsyncing with our pretend girl band. You could have a best friend, but you were always part of a larger group. Life was full. What's interesting about a small town is that you grow up wanting to escape it, but looking back, you miss so much of the simplicity of the time and the town. As I walk this journey, I recognize so many different phases of my life. I can recognize when I was caught up in the dis-ease of busy-ness. Pushed by a culture to be more and do more, ignoring self-care all to be something I didn't want to be. Worried about other people's perception of what I was. Not who I was. A very un-natural state to live in. But, I'm one of the lucky ones. And I believe that so many of my childhood friends are too. Quite possibly because we have that foundation. I moved away from Lacon in 1993 and with that lost touch with my childhood, quite literally. I was escaping the divorce of my parents and the loss of the only thing I knew for 23 years. No more family. No more tradition. Two things that were the foundation of my life. I was already a young Mom myself, trying my best to work through so much change all at once. I was married to my high school boyfriend and we were just trying to make it at a very young, naive age, when we moved the Kansas City. One year later we divorced. I was alone in a city with a two year old making $8 an hour. Looking back I have no idea how I did it, but going home was never an option. Where was home? My ex and I both decided to stay in Kansas City and we remained friends and co-parents. He is still my friend today and if anything, I'm very proud of how we raised our son. Every one of us growing up in small town Illinois has a story. Amazing stories as a matter of fact. And as products of small town life, I am here to say that each one of us has surpassed the "label" of being from a small town. I've often found it very interesting that those that label, are usually the most close minded. I was labeled many times when I first moved here and met new people. The "where are you from" conversations always took an interesting turn to the perception of country folk being backwards. Being able to reconnect with my friends via Facebook has been so amazing. I'm so proud of what we have become and overcome. Like I said, every one of us has a story. Now as we approach the end of our 5th decade on this earth, we have so much to look forward to. My friends are the most compassionate, caring, generous and humble people you'll ever know. From that small town of Lacon comes teachers, nurses, artists, foster moms, hair stylists, corporate executives, lawyers, business owners, ministers, coaches, daycare providers, healthcare workers, insurance agents, farmers, electricians and a yoga teacher. We've raised kids and now grandkids are showing up in our lives. We've suffered through loss of friends and family close to us and we've endured. I'm proud of my childhood and I'm proud of my friends. And I know that if we were to meet again tomorrow, it would be like we never missed a day! Fail to plan, Plan to Fail. I've heard this so many times throughout my life, that it made me curious as to who said it. Turns out it's been said in different ways by many throughout history. I'm sharing the image from Winston Churchill because I've been watching The Crown on Netflix and I really enjoy his character played by John Lithgow. Anyway, this quote strikes a chord with many, by either inspiring or causing anxiety. There are those who are great at planning and those who view the process as extremely challenging. I started to really think about this as I began my day today and wanted to share a few simple points. First of all, let me say that I am good at planning, but I am also a procrastinator, especially when it comes to things I don't like doing. For Example, I love to cook, but I dislike deciding and planning a menu and a grocery list. So I end up avoiding that process finding myself searching for what to make for dinner last minute. Even though I know if I would take 20 minutes to plan the menu and grocery list for the week, the entire process of shopping and cooking would go that much smoother. When I was working and managing two boys in sports, planning was essential. I was all about structure and sticking to it. It gave me anxiety when something didn't work out to my plan. I dislike unknown variables being thrown at me. I've grown a lot since then, thank God! However, I think there is still a lot of truth to planning so that we can manage our days and focus on our wellbeing body, mind and spirit. 1. Sleep Routine ~ I really can't stress this enough and it's number one because if you don't do anything else, you must commit to a sleep routine. I suffered through insomnia for years. I tried every sleep aid known to man until the effects wore off. Then I found yoga. I'm still a light sleeper, but I get 8 hours of sleep a night and I always wake up before the alarm feeling completely rested. And speaking of alarms. The first battle you lose in the day is pressing the snooze button. 2. Wake with Gratitude ~ When you awaken let your first thoughts be, "Thank you!" I have done this ever since I interviewed Miss Gwen for the Happy Stories book. Miss Gwen lost everything in Hurricane Katrina. Stranded for days on top of her home. After finally being rescued, she was bussed to Texas. Where she later lost everything in Ike. Oh and by the way, she lost her leg to infection as well. Her advice to everyone is "God chose me to wake up this morning. I must honor him with my happiness and gratitude." Let's just say, when my life seems challenging I hear Miss Gwen's southern voice in my head. "God chose me to wake up..."
3. Daily Ceremony ~ Carve out time for prayer, meditation, daily devotion or quiet undistracted reflection. This is one that challenges most people, especially those with busy lives. We over commit to everyone, except ourselves and God. I struggle with this also. It is set on my calendar and I get a notification at 6am that I am to sit for 30 minutes to pray, read and meditate. You don't have to start with 30 minutes. If this is new to you, start with 10 minutes. Just start. You won't regret it. The rest of the day seems to fall into place when I'm committed to my daily ceremony. 4. Move Your Body ~ For so many years, my daily routine was get up, get ready and rush out the door to drop the boys to school and head to work. Come home. Go to practice or games. Rush through dinner and homework. Watch some sort of nonsense on TV just to destress (which actually caused more stress and sleep deprivation) and go to bed. Repeat. Repeat. Repeat. I never took time for my body and it paid the price through pain and health issues. It's never too late to start moving your body, but it takes commitment. Walk. Do Yoga. Swim. Whatever your thing is ~ do it!!!! Start with a doable plan. Don't try to do it all at once. Start small. And remove obstacles. Here's one I hear a lot. "Well I'm so busy this week, I'll have to start next week." Then weeks turn into months and months turns into...You get the picture. 5. Clear the Clutter ~ This is so challenging for so many people. Clutter equals a sense of protection. An armor, so to speak. Let me offer a quick daily solution. Towards the end of the day, when you are watching TV that, as I mentioned, is probably causing you more stress and anxiety, stop watching 10 to 20 minutes earlier and prepare yourself and your home for the next day. Pick up your kitchen so you don't wake up to cluttered counters or dishes in the sink. If you have kids, start a routine of picking up toys etc before bed. Take time to read to them. Get their clothes ready for the next day. Tidy up. Arrange pillows on your couch. Fold blankets. Put away clean clothes and put dirty clothes in the hamper. Clear out the junk mail. Just conduct a 10 minute sweep through your home so you can rest easy without the visual chaos. This will help you move through the next morning with ease and less stress. There are so many more things that could be on this list, but 5 is a good start. I hope this inspires you to start a routine that leads to less stress and more self-care. Go easy on yourself! This isn't going to happen all at once. Don't be so rigid that planning causes more stress. You, like myself, will fall off the wagon many, many times. That's all part of the growth process. Just pick yourself up and do it again the next day! And thank God for choosing you to wake up! Several years ago I read Simplify: 7 Guiding Principles to Help Anyone Declutter Their Home and Life by Joshua Becker of Becoming Minimalist. I had always felt like I was a simple girl, but as I began my journey into yoga and meditation, I realized that there was more to it than just the material aspect. I had always made sure my surroundings at home and at work were simple and minimal. No clutter. No chaos. No drama. However, as I began to delve deeper into my yoga practice, I realized that the clutter in my life was inside of me. From the outside, people had the perception that I was put together, buttoned up and professional. Always on point. Someone once said, "Jeannine always has it together. Not a hair out of place. Always making sure everything is just so for the rest of us." But on the inside I had a fire burning that I had ignored for decades. As I grew deeper into my practice, the fire began to move closer to the surface. I tried many times to keep it suppressed, but that's impossible when God says it's time to let it go. In a sense, my yoga and meditation brought me closer to God and I realized that I was secretly asking for help in saving my little girl from the fire. For awhile, my outside surroundings didn't change much. I was still working a stressful job and had to "put on the persona" that people were used to. But what was happening inside made it feel all the more unnatural to me. This girl wanted out and there was no stopping her. The more I practiced, the more I started to learn about ME! I learned through my training that my inner make up, my dosha in Ayurveda science, is Pitta! Fire! I learned about the covert fire that was literally burning from the inside. Like I said, on the outside I was always calm. Showing no emotion and holding it all together for everyone else. Pitta was on the inside burning hot! I began to learn about balancing my dosha through food, yoga and the situations I put myself in every day. Everything began to fall into place when I started to really open up to the why of who I am. Every year since this discovery has been an intense and freeing chapter of growth and release. As I sat in meditation this morning, I began to reflect back on the year. The intensity of the challenges I faced and the abundance of growth. I've done my best to remain focused on my healing journey while continuing to help others. I've had moments that I can look upon with understanding the lesson and where healing has taken me further down the path. As I sat in reflection, it wasn't about living in the past but giving myself credit for how far I've come on this journey. I was able to see that the one thing that has carried me through is the simplicity of it all. Letting go of attachment to the busy-ness, the chaos, the people pleasing, the control and allowing myself to BE. I know this might sound cliché to many, but it really isn't. It is the way. God delights in the simple things. As I often look to my inner mentor, the person I see 20 years from now, she looks back at me with all the wisdom of what brought her to that place of knowing. I can close my eyes and see the simplicity of her life, the wisdom in her eyes and the life she lived in the smile on her face. She is content. 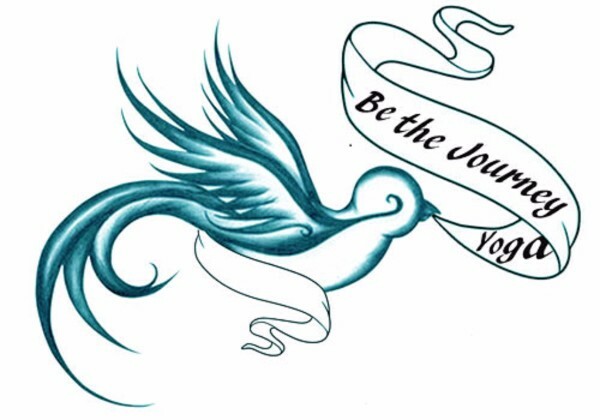 I want to take this opportunity to thank you for being part of the Be the Journey Yoga community. I am writing this special email to share some exciting news with you. We are taking the journey into our dream of having our own studio space. I recently shared this news with my students, but I'm now ready to share with everyone. I believe the energy that I can put behind realizing my dreams only expands with the positive energy from you! I would like to share the letter I sent to my current student body a fews weeks ago. I’m wishing you all a wonderful fall! I want to thank you all for taking this journey with me. It has been an amazing 4 ½ years and I can’t wait to share the future with you. I am working with a business mentor who is guiding me in taking the next step on my journey, which is to realize the dream of my own studio space. I met Irene last year through yoga, but it wasn’t until this spring that we began to chat and she shared with me her business background. Throughout her 20 years as a successful business owner, she gives back by mentoring two women per year in starting or growing their business. That day on the mat was a divine appointment. At the time I was starting to visualize what it would take to create my own space. Agreeing to the mentoring program with Irene has taken my vision to the next level. What I really appreciate about her guidance is that she supports who I am and believes in me. She holds the same vision for me to grow without compromising my principles and values as a teacher. It continues to be my mission to provide safe, supportive and inclusive yoga for every BODY. I’m happy being at the Wellness Wheel, but it is my intention to continue to bring accessible yoga to more people. There is not much room for me to expand where I am now. As many of you have noticed, classes are filling up. This is a great thing, but I never want people to feel crowded. It is not my intention to have a bigger room to fill, but a place where I can offer more opportunities for healing and self-discovery through yoga. I’ll be honest, the idea of having my own space can feel daunting, but with Irene’s guidance, it feels 100% attainable. Our plan begins with fundraising. Irene has mentored many women in opening and operating a business in the black from day one by raising money, not going into debt. We begin October with our fundraising. Over the next several months there will events and opportunities to get involved. Be on the lookout for retreats, workshops, vendor fairs and yoga marathons. As well as opportunities to get involved when we have our space, in Time, Talent & Treasure. The idea being someone may have the talent of painting or carpentry, whereas someone else might have some items to donate to make the studio feel like home and someone else might like to help by donating time to clean or organizing. It has always been important to me to build a strong yoga community and I want this next step on the journey to be the same. This space will be for everyBODY! Finally, this letter is being sent to my students only. I want to share this with you because I believe that our energy can make it a reality. Please look for events and opportunities to get involved soon. I am blessed to have you as part of my tribe! Thank you so much for your time today and for your encouragement! I hope to see many more of you on the mat as we expand to offer more opportunities to heal through yoga. What the world needs now is more restorative yoga! In a culture that fosters disease of busy-ness and chaos, stress is becoming the number one factor of poor health. By 2020, STRESS will be one of the top contributors to disability. Our bodies are not meant to live in a stressful state 24/7. However, with the 24-hour news cycle and mass media attention, we are over stimulated and stressed more than ever. We go from one day to the next, never getting the rest we need and it takes a toll on our body, mind and Spirit. I began my yoga practice with restorative yoga mainly because it sounded easy and because I was suffering from chronic back pain. I quickly learned that the pain I was experiencing for so long was coming from stress and emotional blocks. Holding in emotions became a breeding ground for stress to grow. Add in the day to day of family life and job and overtime I become a heavy armor walking around pretending to be human. I wasn’t expecting to find the release I did from restorative yoga. It was instant. I slept better and found myself wanting to treat myself better. My outlook changed, which caused my habits to change. And now 10 years later I’m still on this journey of releasing. Restorative yoga allows us to go deeper into our energetic and mental bodies because it creates the space for it. The body is supported by bolsters and blankets and within that cocoon of safety, our brain is given the gift of the relaxation response. In restorative yoga, we get to relax, melt, surrender and let go. The stress that we encounter daily causes stress hormones to be released by the adrenal glands, heart rate and blood pressure both elevate, and muscle tension increases. It becomes even more problematic when stress becomes chronic, when we get used to “being stressed,” often a symptom of overscheduling that has become an unfortunate norm in our culture. This ongoing, stress wreaks havoc on our digestion, our ability to assimilate nutrients from our food, our immune system and our sleep cycles. The relaxation response—our brain’s shift from “fight or flight” into “the parasympathetic state” helps us to counteract the toxic effects of stress by slowing our breathing rate, relaxing our muscles, reducing blood pressure and slowing down our brain wave patterns. Relaxing means resting deeply, one of our most basic needs, that is what restorative yoga is designed to help us to do. If we can allow the body and mind to relax, we naturally feel better and we have more clarity on all levels of being. In Restorative Yoga our attention to the breath facilitates a feeling of release. Letting go of physical and mental tension and stress. The supported postures gently open the spine in all directions, which soothes the nervous system, energizes the subtle channel which houses the seven chakras, and nourishes the spine and all the muscles on the back body which often maintain stress-induced holding patterns. Internal organs are soothed and stimulated by the gentle poses which then soak the organs with fresh oxygenated blood. The benefits are endless. So why aren’t more people practicing Restorative Yoga? I am often met with resistance when it comes to restorative yoga, especially by those who believe they should always be doing. I can relate as I am a recovering doer. However, what my practice has taught me is there is more to life than filling every moment with stuff to do. It’s an addiction. We are literally killing ourselves, body, mind and spirit through the disease of busyness. I want to leave you with this thought. In the end, there is no prize for being the busiest. It’s not a competition like our culture would like you to believe. One upping your friends on who has more to do or who is more stressed or in more pain should not be our national past time. If your initial response to the question “How are you doing?” is “Oh my I’m so busy…” It’s time to really find out why and start to let go. To slow down and FEEL! And if you find this statement challenging… You need it the most!